When the quadruplets were born in 2010, their mother surnamed Jiao quit her job to take care of them. "I was exhausted when they were babies. But now when I am not feeling well, they help me with household chores," Jiao said. 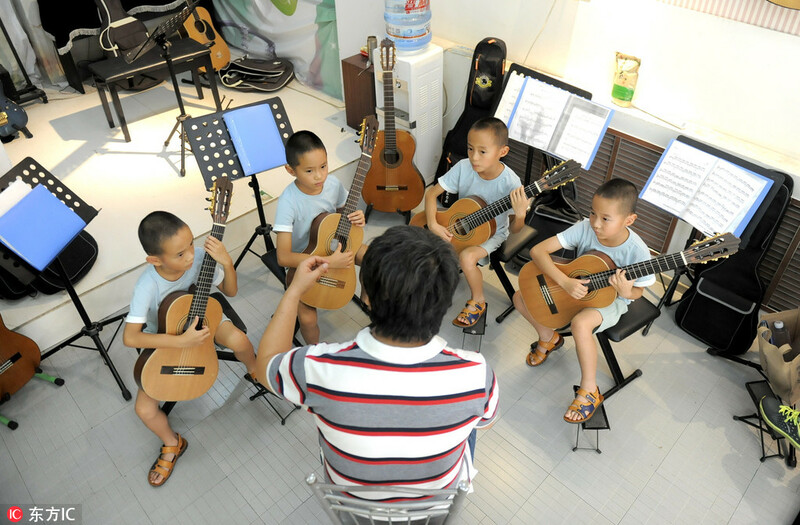 At present, Jiao operates a child-care business called "little dining tables" (xiaofanzhuo) - after-school care centers providing meals and place to primary-school student whose parents cannot take them home after their classes.